Still from Black Orpheus (Marcel Camus, 1959). Used with permission from The Criterion Collection. At the 1959 Cannes film festival, the slate of films in competition included two of the seminal works of the French New Wave—François Truffaut’s The 400 Blows and Alain Resnais’ Hiroshima Mon Amour—and yet the Palme d’Or that year went to Black Orpheus, a film shot in Brazil by French director Marcel Camus. Over the next decade, as Truffaut’s generation dominated the arthouse, and as Black Orpheus went on to become one of the biggest foreign-language hits ever to play in the United States, cinephiles would debate the meaning of Camus’ Cannes win. Did the Palme d’Or put Black Orpheus on the same level as the new masterpieces emerging from Europe seemingly every month in the late 1950s and early 1960s? Or did a Cannes jury that featured Hollywood legend Gene Kelly openly rebuke cinema’s cutting edge by rewarding a colorful trifle? 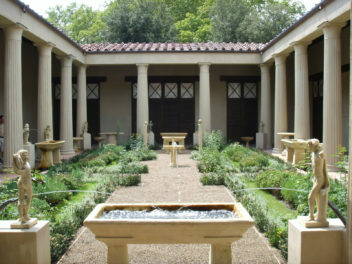 The Greek myth of Orpheus has been an inspiration for popular art for centuries, but it’s still strange that two of the most popular foreign films of the 1950s were both based on Orpheus, taking the rough outline of the story—about a preternaturally talented musician/poet who journeys to the underworld to retrieve his wife Eurydice, then suffers a fatal lack of faith—and setting it in the modern world. 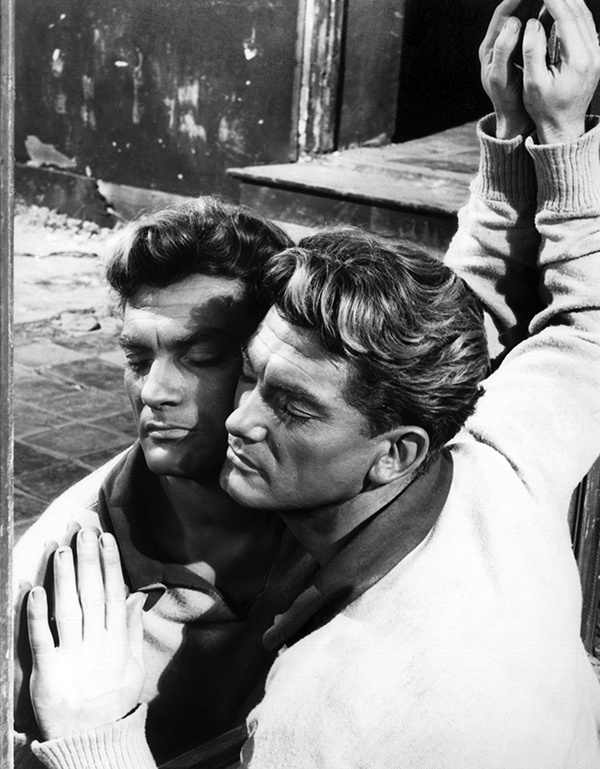 Jean Cocteau’s Orpheus, first released in 1950, uses the myth to make a surreal, self-critical portrait of a Parisian poet, played by Cocteau’s frequent collaborator and former lover Jean Marais. 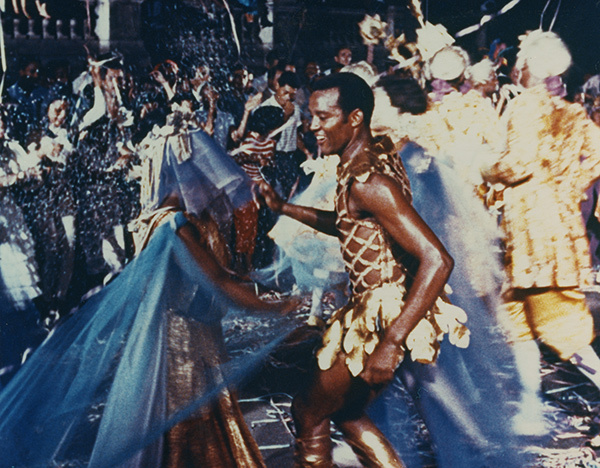 Camus’ Rio-set Black Orpheus sticks closer to the myth, but adds the trappings of Carnaval and the favelas. Both are great films, still widely seen and widely beloved. But they each represent something different in the story of world cinema. Still from Orpheus (Jean Cocteau, 1950). Used with permission from The Criterion Collection. Cocteau’s illustration of the nether-realms has a lot to do with why Orpheus has developed a following that few other movies this arty and allusive ever get. As with his sensational 1946 version of Beauty and the Beast, Cocteau enlivens Orpheus with astonishing special effects, the majority of them done “in camera” by reversing the film or using slow motion. This is a film with a hook, and that hook is less Cocteau’s ruminating on poetry, love, and celebrity than it is the remarkable dreamworld he creates, where telephones hang themselves up and shattered mirrors reassemble. 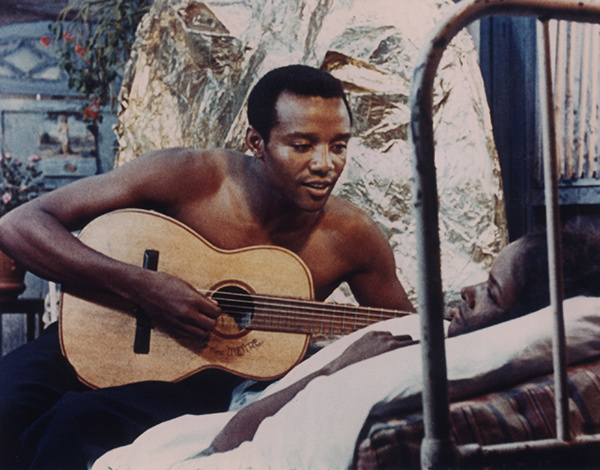 Spectacle also has a lot to do with why Black Orpheus connected so broadly—and why some critics and filmmakers regarded it so skeptically. At a time when art-films tended to be austere, high-minded, and depressing, Black Orpheus offered a sensuous travelogue of a festive Rio, where curvy women in bright, form-fitting dresses dance to rhythmic music under blue skies. Shot on location in Rio’s hillside slums and in the city below, Black Orpheus gives the Greek myth an Afro-Brazilian twist, as the trolley-driver Orfeu (played by footballer Breno Mello) goes through a Macumba ritual to bring back the sweet country girl Eurydice (played by Pittsburgh-born nightclub dancer Marpessa Dawn). Camus takes Vinícius de Moraes’s stage play Orfeu da Conceição and brings to it the perspective of an enamored outsider, who—perhaps somewhat condescendingly—saw the poor, black people of Rio as charming and creative. Cocteau and Camus used ancient myths for their own ends, but both Orpheus and Black Orpheus dwell in the same world of artists and lovers, and both have the undertones of darkness that continue to compel people. If they weren’t so outstanding, they wouldn’t continue to stir so much debate. Orpheus and Black Orpheus screen outdoors at the Getty Villa on October 10 and 11. I'm a freelance writer and critic who's been writing professionally about about movies, television, music, and comics for over 20 years, for publications like The Dissolve, The A.V. 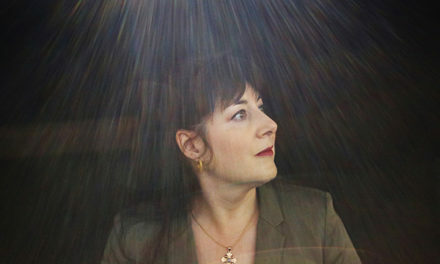 Club, and The Los Angeles Times. I'm an obsessive consumer of pop culture, who likes to connect what's going on now with what happened in decades past, to try and better understand both art and the world. I live in central Arkansas with my wife and two kids, and spend whatever free time I have cooking for my family, going for walks around our beautiful state, and obsessing over college football and the Atlanta Braves.